Ch-ch-ch- changes. 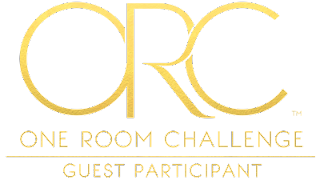 It’s week 2 of the One Room Challenge and I’m still designing on the fly, making decor changes as we go. 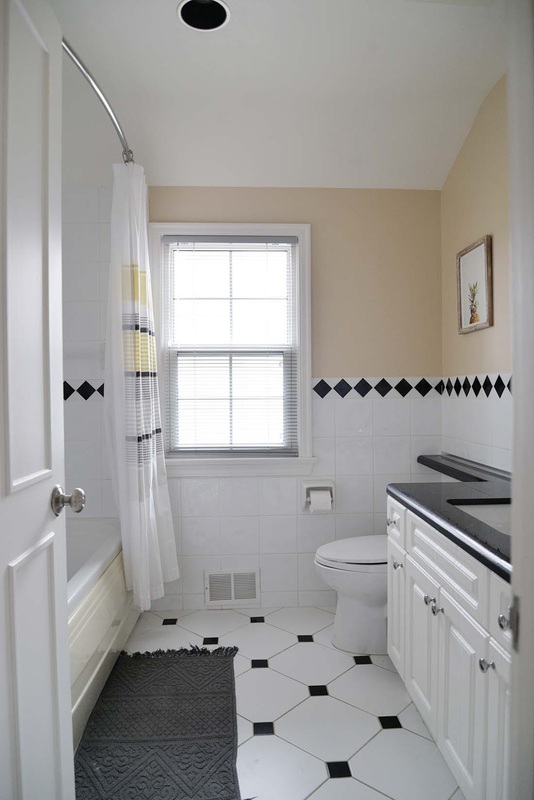 In week 1, I shared an initial design plan for our bathroom renovation. I wanted a look that was timeless and classic… but the design just wasn’t feeling quite right. It turns out all I needed was the right inspiration. There’s a moment that happens in design or architecture that you call ‘unlocking the plan’. It’s difficult to explain but you know it when you reach it… when you push the design far enough, try out options, until you reach “perfection” and all the elements fall in place and feel right. I’ve only reached that moment only occasionally but when I do, the plan turns out infinitely better. Sorry for the small size, but hopefully you get the idea. You can also see it on my Instagram highlights. Doing a rendering is a great way to see how your idea will look in real life. Taking inspiration from Cluny, we’re going to be putting moulding and trim on almost all of the walls. 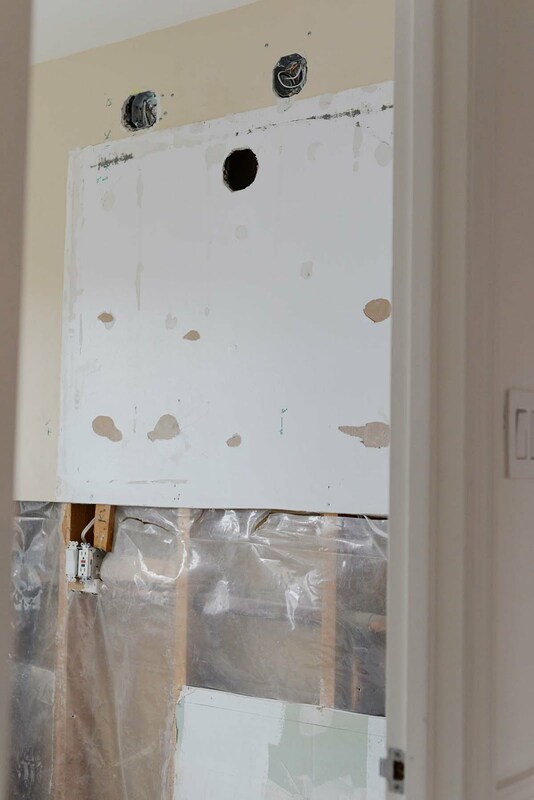 On the vanity wall, the moulding will be restricted to a border around the perimeter, with a field of subway tile inside. 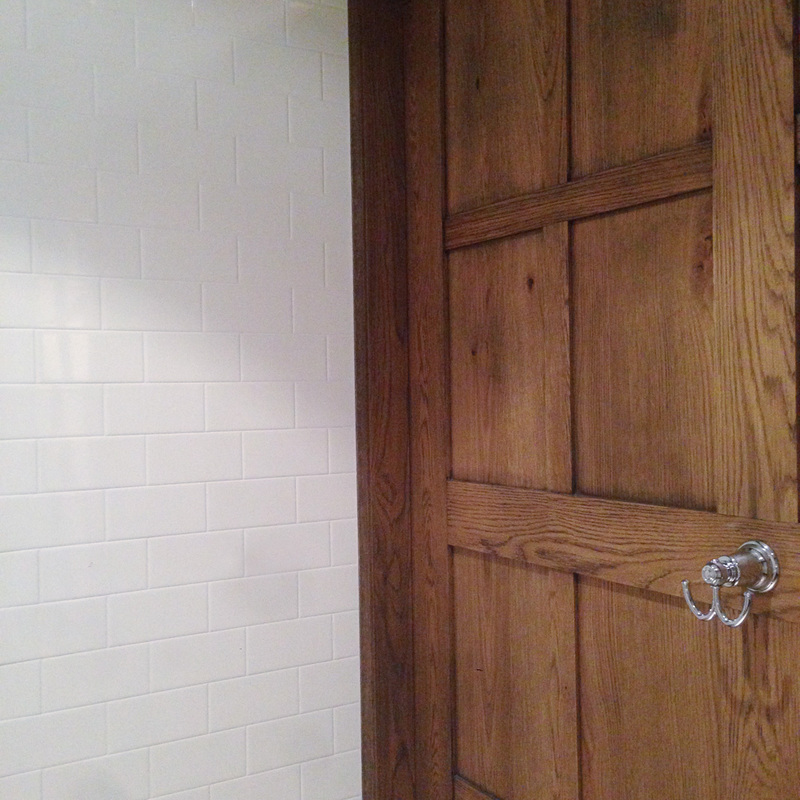 The juxtaposition of high (moulding) and low (subway tile) in design always inspires me. The effect will be reminiscent of Paris subways and French cafes. Paris is one of our most favourite cities in the world so to have that feeling at home is exciting. What are the elements of French bistro style? You can see how I’ve incorporated many of these in my bathroom design. 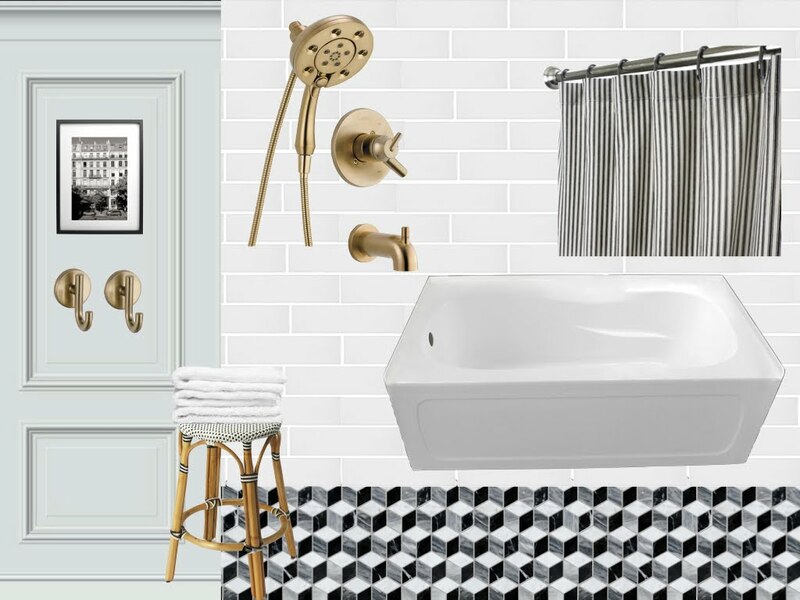 French bistro style is popular for kitchens – why not use it to inspire a bathroom as well? 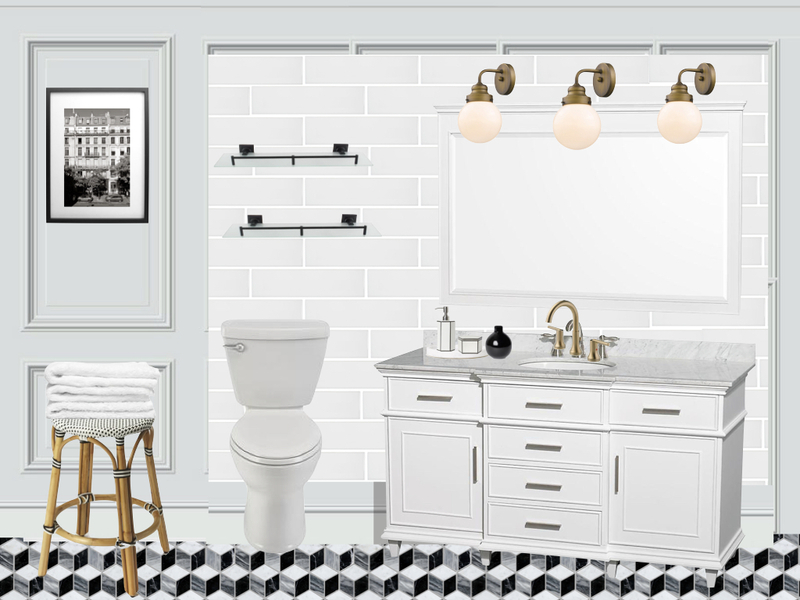 The marble floor tile and vanity from The Home Depot Canada and the champagne gold Trinsic features from Delta Faucet Canada are the design heavyweights in this scheme but I can truly say I love every element shown in the plan. We’ve taken out most of the wall tile and have had the electrician in to install new boxes for the lights and to disconnect the jacuzzi tub. 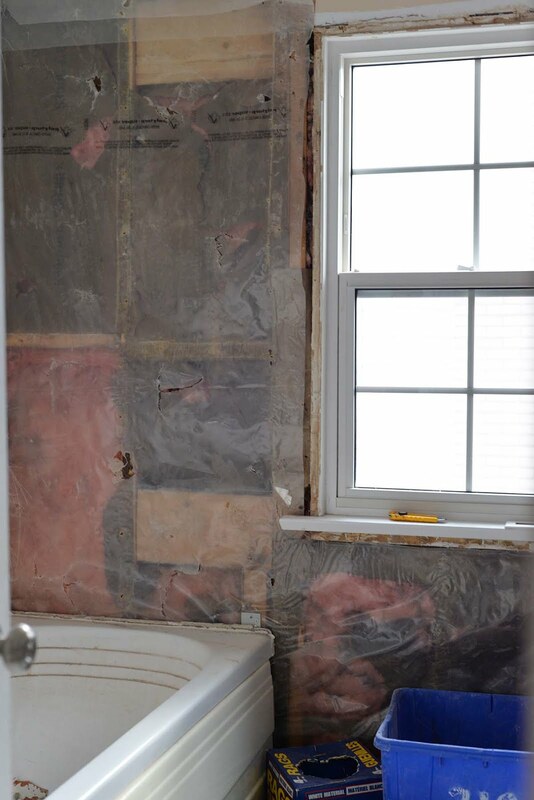 Once we finish removing the shower wall tiles, we’ll take out the tub and then the floor tiles. And then we can start building everything back up! New cement board and new drywall will go in first followed by the new tub and so.much.tiling!! Want to see how everyone else is doing? Head to the ORC blog to see progress on 300 other renovation projects!